Holiday Dates for all Clubs. Here are the holiday dates for all Clubs. There will be no classes after the Lochee class on 21st July until Wednesday 10th of August in Douglas and Lochee 11th August. Tuesday Lochee, Wednesday Menzieshill and Saturday Whitfield are cancelled and will recommence the week beginning 22nd August. 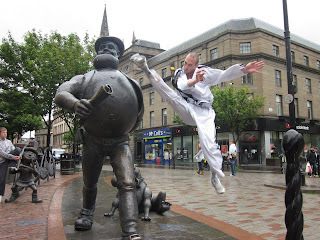 All students can train in either Douglas Wednesday or Lochee Thursday from 10th August. All classes resume to normal times from Monday 22nd August. Wishing you all a Happy Holiday. See you all soon. Mr. C. and Miss Kane. I am just so proud of you all and I don't have words to describe it. 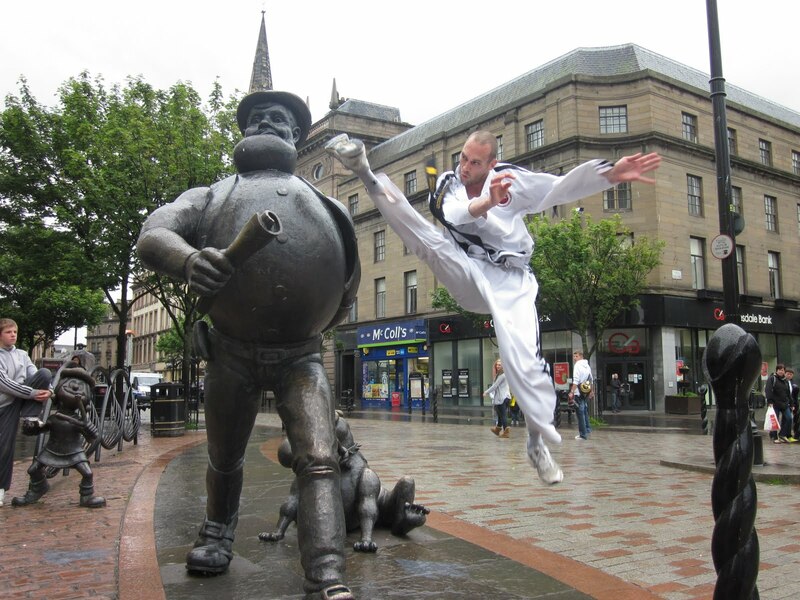 You took on the cream of the Worlds Taekwon Do Martial Artists and acquited yourself with such good grace and dignity and not only that you let them know that Scotland and Dundee were not pushovers. What a team effort it was. You all played your part in Scotlands success. Dundee Wildcats produced 5 new World Champions and a host of medallists. 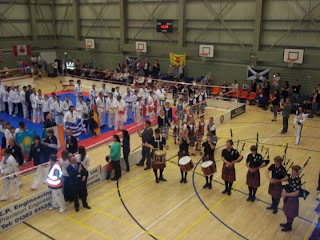 Of the 27 Dundee competitors 27 produced at least one medal apiece with many winning many more. Below are 4 Scottish Blackbelt Team members who are World Champions. Nicole Dowdles 4 Gold, 1 Silver, 1 Bronze. Reece Hershaw 2 Gold, 1 Silver. Jack Stephens 1 Gold, 1 Bronze. Fraser Munnoch 2 Silver, 1 Bronze. 3) Puerto Rico, 4) Canada, 5) Northern Cyprus, 6) Malaysia, 7) South Africa, 8) Germany, 9) Argentina, 10) South Africa Kwa Zulu, 11) Spain, 12) USA, 13) Kazakhstan, 14) Greece, 15) Ireland, 16) Alaska. Here's the latest news regarding the Clubs and the 8th GTF World Championships being held in the DISC from the 7th to the 9th of JUly. First off....the Lochee Club is on this Tuesday 5th then all Classes are closed until next Tuesday 12th. Opening Ceremony...all Colour and Blackbelt students are invited to participate in the Opening Ceremony. Please be at the DISC with your belt on and wearing white dobok only at 11.30 as the Ceremony starts at 12.00 noon sharp. We will all march onto the floor with all the Countries and watch the Ceremony together. The Lord Provost, Commonwealth Minister, GTF President Mrs. Park and the World Masters will all be there. The 6/8th BB Pipe Band will open the Ceremony followed by a Highland Dancing Display. The World Masters will put on a display as will members of the Scottish Team. 7th July Blackbelt Individuals...Couples...Special Techniques. 8th July Blackbelt Teams...Power Breaking. 9th.July Colourbelt Festival...starts 09.00am prompt.